Our classic and elegant desserts are the best way to celebrate any event! Some would even say all you need is dessert to throw a party! 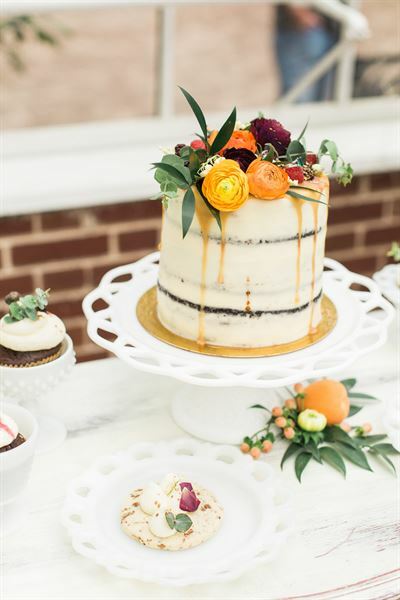 Our gorgeous cakes are a perfect centerpiece, but surrounded by some of our delicious petite desserts, your guests will think you are the sweetest! We create gorgeous sweet treat tables curated just for your event. It starts with our organically made sweets, but we also offer custom designed paper pieces and decor. Look through our menu! We’ve heard it said that it’s a good idea to decide on your dessert, and plan the rest of your meal around it. Cacao quite agrees. Life is short — have dessert first! We are a full service, alcohol and wine caterer. We back up our service with our guarantee of the lowest price coupled with insurance protection that is absolutely essential for every catered event. And our portable bars add spice to any event with over 93 colors to choose from and lighting included.